The fact that LCD Soundsystem no longer exist is upsetting to me for number of reasons, but mainly because I’ll never get to see them live. I finally started listening to them about a year too late, by the time I found out what the fuss was about, the fuss was over. LCD Soundsystem seemed to capture something important in their ten year run. Something that many bands of their era desperately try to capture but never manage to; a sense of fun and joy. That essence is captured by frontman James Murphy‘s sense of self deprecation, a feeling that he’s seen it all before and understands what it is to have fun and grow up and mature. It was clear from the bands first single way back in 2002 Losing My Edge that Murphy had no intentions of being cool, and yet ten years later he was the frontman of one of the coolest bands of the new millennium. Losing my Edge was a sarcastic take down of everything considered cool by the hipsters (it’s still relevant now) and while Murphy’s song writing did move away from that style, he still retained the humour, most apparent in songs like Drunk Girls and Somebody’s Calling Me. These songs take a cheeky sideswipe at rave and nightclub culture, and yet at the same time, they incorporate elements of just that. 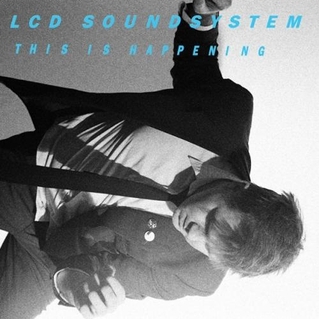 The dance-punk style that was all the range back in the early 2000’s was perfected by LCD Soundsystem early on in their career and they never really changed that formula, and it worked perfectly for them. While a few would disagree and say their second album Sound of Silver is their best, I think This is Happening outshines it, making it the perfect swan song for any band, a band leaving exactly at the height of their game. Yet the album never really feels like an ending, if it does it’s more a celebration of joy and partying. Starting off with the towering Dance Yrself Clean, a song that typifies LCD. It starts quietly, almost lovelorn, before opening up into pure joy and feel good power, it’s a song designed for both the dance floor and the end of a party. After this excellent opener the album never stops this mix of songs that fit perfectly into both situations, with the likes of One Touch and Pow Pow being good examples of the band getting into the dancier elements of their music. However, for me at least, LCD have always been better when they’re not making dance music. As much as I enjoy these moments, I’ve always preferred the quieter, if you will, more introspective aspects of the band. Murphy’s particular brand of romanticism and lovelorn hopelessness, they have something of a timeless quality to them. The aforementioned Dance Yrself Clean bring up the same themes of friendship All My Friends did on their previous album, but with a new perspective on what it is to enjoy the night. Whereas All My Friends was a take on ageing, Dance Yrself Clean simply acknowledges the fact that age is inescapable and we should simply enjoy it while we’re young. Other examples of Murphy’s excellent writing are You Wanted a Hit, and Home. The former a perfect summary of the band’s individuality and refusal to buck to what’s popular. It’s also a clever swipe at the bands own image of smart/cool ‘You wanted a smart?/ Well honestly we’re not smart/we fake it all the time.’ As well as Murphy’s peerless writing, it showcases the band at their best, with chugging bass lines and sparkling synths the song is incredibly tight, even if it lasts over seven minutes. Finally the album closes with Home, probably the best closing song on any album. It fills me with positive energy from the first bars to that final moment. To me, the only way the band could have finished this album off. It has an air of finality to it, but a positive one, one that emphasizes my earlier point of the band finishing with a bang. It’s simply perfect. LCD Soundsystem are an important band to me because they fill me with such joy and happiness. Songs like Home, Dance Yrself Clean and All My Friends never stop making me smile and as I said, the band are equally at home on the dance floor as they are at the end of the party when it’s only you and your best friends. Sometimes you could be saying nothing at all but just reflecting on whats happened, these are the moments that truly make LCD great. So look around you, you’re surrounded, it won’t get any better. Enjoy it.